The workshop will focus on the changes brought in though amendment 3 of the Wiring Regulations and aims to bring those already holding a 17th Edition qualification up to date with all the changes and how they affect them during working life. Those completing the 3rd Amendment workshop will be awarded with a certificate of attendance from PASS. The 17th Edition 3rd Amendment workshop course is one day long in total. This workshop is held at the main training centre in Stockton on Tees. For other locations and venues, see the location pages in the menu. Those who already hold a 17th Edition qualification and those contractors wanting to keep in touch with all the latest regulation changes are ideal candidates to complete this workshop course. The third amendment workshop covers the changes brought about by this update and does not cover the entire 17th Edition. Those not already holding a 17th Edition qualification will need to complete one to ensure they understand the regulations surrounding work that falls under 17th Edition. Those completing this workshop will be some of the first to become up to date with the new regulations. This ensures that when they come into force in July 2015, they will already be able to carry out work to these standards. There are many other training courses which candidates can diversify into or add to their existing qualifications. For help deciding the next steps, contact us on 01642 987 978 and we’ll discuss existing qualifications and what to do next. Those wanting to complete this workshop course for the 3rd Amendment to the Wiring Regulations should have existing knowledge of the previous 17th Edition and amendment. The focus of this workshop is to cover the changes, so those without a prior 17th Edition qualification may struggle to understand the course content. 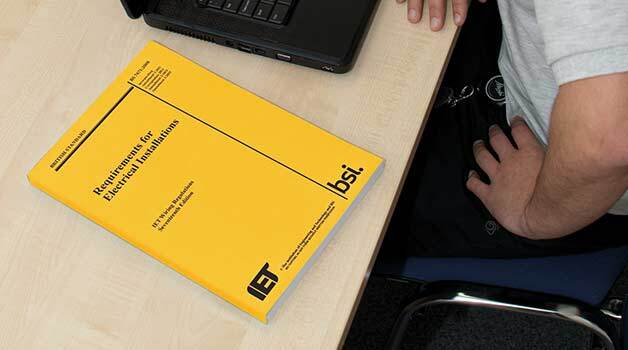 Candidates completing this workshop should purchase a copy of the new 17th Edition Wiring Regulations 3rd Amendment book, which is now yellow and will be available from January 2015. The third amendment to the BS7671 Wiring Regulations will be published in January 2015 with the details of the changes announced in November 2014. The details of the new amendment will not come into force until July 2015, so there is a bit of time to get up to date and ensure a thorough understand how these changes affect working practices. The 17th Edition 3rd amendment workshop is available to ensure that learners understand the changes and how they are to be implemented.